Below is footage of Five Finger Death Punch performing an acoustic version of "Remember Everything" at their November 12 show in Fresno, California. With some help from a fans who joined the band onstage, Moody sang, confidently striding around the stage with a cane in hand. It was a touching moment as the singer sat on a low platform alongside a couple kids. 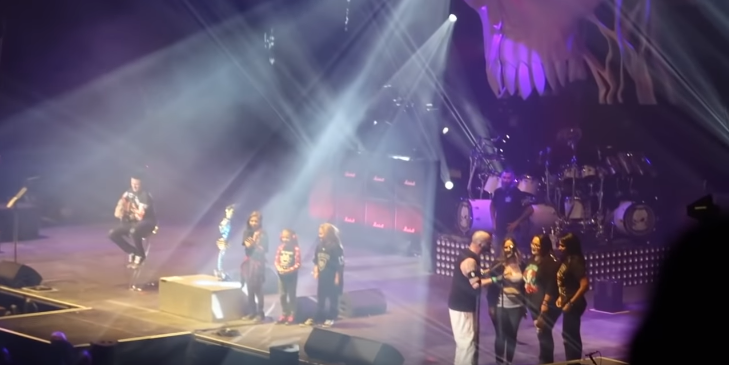 At the end, the frontman took a selfie with everyone onstage.